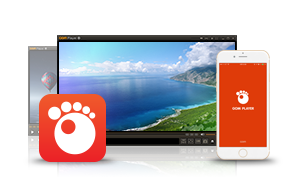 GOM Player is a free multimedia player with popular video and audio codecs built-in. GOM Player supports file formats such as AVI, DAT, MPEG, DivX, XviD, WMV, ASF. Users don't have to install codecs separately. GOM Player is capable of playing incomplete or damaged AVI files by skipping the damaged frames. It can also play locked or partially downloaded files. Gom Player Free Download - we do not host any Gom Player torrent files or links of Gom Player on rapidshare.com, depositfiles.com, megaupload.com etc. All Gom Player download links are direct Gom Player download from publisher site or their selected mirrors.